Are you a mobile developer in Michigan? Want some great exposure for your company and your work? 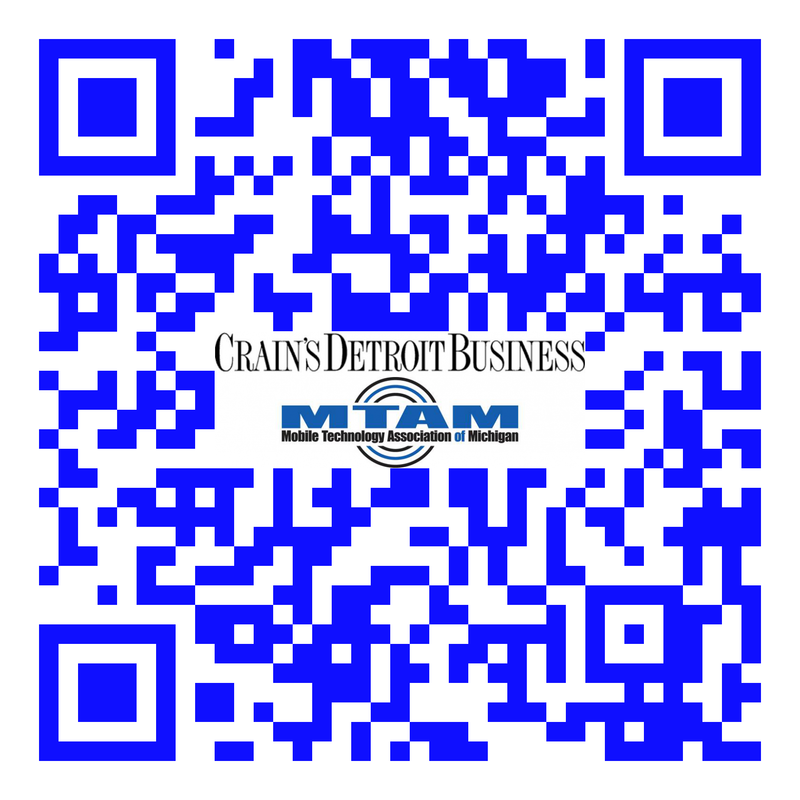 Then make sure to register to get on the Crain’s/MTAM 2013 list of Michigan mobile app developers by scanning the QR code below. Hurry, deadline to join the list is rapidly approaching! This entry was posted in Michigan Mobile News, Mobile Apps, Mobile Developer Resources, Resources, The Mobile Industry and tagged Android, BlackBerry, Crain's Detroit, iOS, Michigan, Michigan mobile app developers, Mobile application development, mobile apps, Mobile Technology Association of MIchigan, MTAM. Bookmark the permalink.